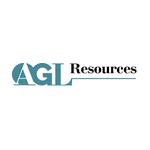 AGL Resources Inc. is a company providing energy services to over 4.5 million customers. They deal in providing natural gas. According to a report in 2012, they are providing effective service to distribute gas through seven utility companies in the regions of Illinois, Georgia, Virginia, Maryland, Tennessee and New Jersey. They even strictly follow four areas of corporate social responsibility - environmental stewardship, energy assistance, community enrichment and education. They operate in five distinctive segments - retail operations, distribution operations, midstream operations, wholesale services and even cargo shipment. They even merged with Nicor Inc. during the end of 2010. Their corporate office is located at Atlanta, in GA. There are currently 0 consumer reviews about AGL Resources Inc available. Share your review. Please take a note that you are about to post a public review about AGL Resources Inc corporate office on CorporateOffice.com. This review will be public, so please do not post any of your personal information on this website. If you would like to contact the corporate offices of AGL Resources Inc, please use their contact information such as their phone number, website, and address listed above to contact them. However, sometimes staff from AGL Resources Inc headquarters do read the reviews on this website.